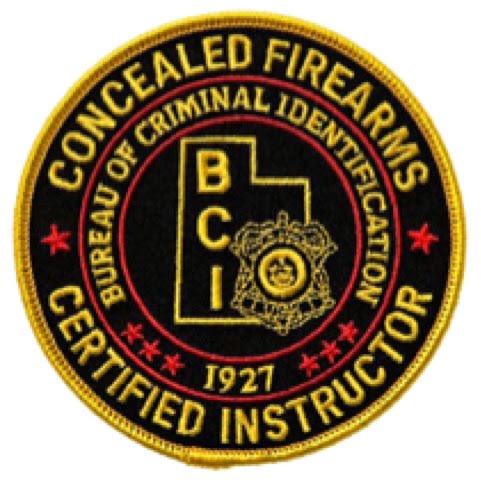 Score one for the good guys and a reminder to the bad guys – you never who is a concealed carrier. A pharmacist in Pinch, West Virginia is a hero today after using his concealed carry handgun to shoot a would-be robber and defend his customers and his co-workers. The robbery occurred about 9:45 a.m. Wednesday at the Good Pharmacy on North Pinch Road, according to a news release from the sheriff’s department. Deputies said a masked male suspect entered the pharmacy and pointed a firearm at the staff. The pharmacist on duty pulled his own firearm that he was carrying concealed and fired the weapon at the suspect. The suspect was struck and fell onto the pharmacy floor. Staff at the pharmacy then began to perform lifesaving measures on the suspect. The suspect was transported to Charleston Area Medical Center General Hospital where he was taken into surgery. The suspect did succumb to his injuries and was pronounced dead at the hospital. Deputies said the name of the deceased will be released at a later time pending notification to the family. Currently, based upon witness interviews and video evidence charges will not be filed against the pharmacist, deputies said. The circumstances of this case will be forwarded to the Kanawha County Prosecuting Attorney’s Office for review. One of the really impressive parts of the video is the speed with which the pharmacist acts. The robber draws his gun at 0:16 in the video. Less than four seconds later, after getting his colleagues behind him, his weapon is drawn and he’s firing his first shot into the attacker. Four seconds after that, the wounded attacker is outside of the store and the pharmacist is clearly seen ready to defend himself, his customers, and his colleagues yet again if need be. After ascertaining that the dog has never bitten her, never left its own yard, and is merely acting territorial and barking, I informed the caller that the dog’s owner had not violated any laws and that as a police officer, I couldn’t do anything about the situation. I made the very simple suggestion that if this dog scares her so badly, maybe she should walk on the other side of the road when she goes past the dog’s yard. It seemed like a reasonable course of action to me. The dog doesn’t get territorial and charge, she doesn’t get scared. The woman was irate that I suggested such a thing. Of course she was right. But being right doesn’t always protect you from negative consequences. The woman was failing to acknowledge reality. The reality is that she knows the dog will bark at her when she walks past the house. She knows there is nothing I can do about that. Yet she persists in repeatedly taking the same course of action even though she knows that she will be scared by the dog again and again. That isn’t a smart way to live your life. “Well, you shouldn’t HAVE to lock your doors. It’s your house and no one should try to steal from you. You have every right to leave your doors unlocked, yet in this case you acknowledge reality and take basic precautions because the world is not the way you want it to be. The world is the way it is. You may not like it, but you have to deal with it. Walking on the other side of the road to avoid an aggressive dog is the same thing as locking your doors when you leave the house. It’s accepting the reality of the situation. I should have known better. Instead of understanding the logical inconsistency in her thought process, she began to berate me for pointing it out. She was upset that I wouldn’t arrest the homeowner thereby ensuring that she could walk past his house any time she wanted without being scared by a barking dog. She told me that she REFUSED to alter her life to accommodate the actions of an aggressive dog and quickly ushered me out of her house. The examples go on and on. In every case, the victim failed to acknowledge the reality of the situation. In every case, failing to acknowledge reality led to negative consequences for the victim. You may be right, but if you fail to acknowledge reality, you will still lose. The world is not how it should be. You don’t have to like that. You can work to change it. But if you ignorantly refuse to acknowledge reality, you are taking the first step on the path to ensuring that your name will occupy the “victim” box on my next police report. If you would like to read more articles like this, sign up for my email updates. Why shouldn't Americans be able to defend themselves with firearms? With Somali terrorists threatening this past weekend to attack the Mall of America, the nation’s largest mall, the debate over allowing citizens to defend themselves has heated up again. Gun control advocates just can’t accept the fact that concealed handgun permit holders are incredibly law-abiding. The New York Times’ recent attack on permit holders is typical. It is filled with triple-countingof legitimate self-defense cases. Murders or suicides by permit holders are blamed on guns, even when no gun was involved. In point of fact, permit holders are incredibly law-abiding. Some new evidence puts things in perspective. 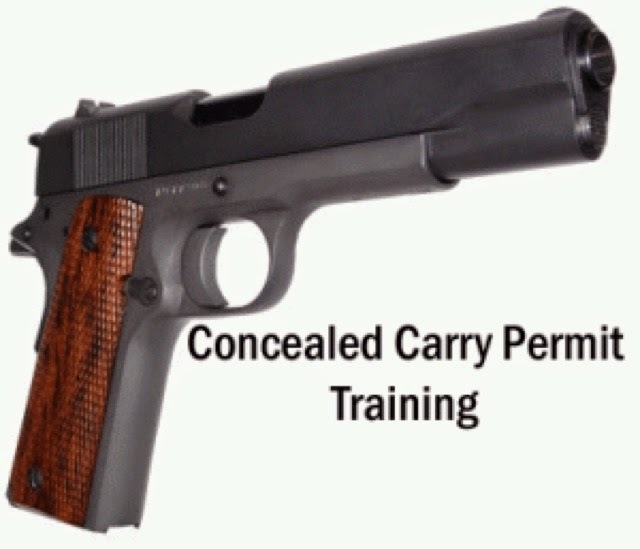 Concealed carry permit holders are even more law-abiding. Between October 1, 1987 and January 31, 2015, Florida revoked 9,366concealed handgun permits for misdemeanors or felonies. This is an annual rate of 12.5 per 100,000 permit holders -- a mere tenth of the rate at which officers commit misdemeanors and felonies. In Texas in 2012, the last year the data is available, 120 permit holders were convicted of misdemeanors or felonies – a rate of 20.5 per 100,000, still just a sixth of the rate for police. Clearly, people who are going to commit crimes don’t bother going through the process of getting a concealed handgun permit. At some point, maybe the New York Times and other gun control advocates will realize that making false claims about permit holders actually endangers public safety. WASHINGTON, June 27 - The Supreme Court ruled on Monday that the police did not have a constitutional duty to protect a person from harm, even a woman who had obtained a court-issued protective order against a violent husband making an arrest mandatory for a violation. The decision, with an opinion by Justice Antonin Scalia and dissents from Justices John Paul Stevens and Ruth Bader Ginsburg, overturned a ruling by a federal appeals court in Colorado. The appeals court had permitted a lawsuit to proceed against a Colorado town, Castle Rock, for the failure of the police to respond to a woman's pleas for help after her estranged husband violated a protective order by kidnapping their three young daughters, whom he eventually killed. Ms. Gonzales conveyed the information to the police, but they failed to act before Mr. Gonzales arrived at the police station hours later, firing a gun, with the bodies of the girls in the back of his truck. The police killed him at the scene. The theory of the lawsuit Ms. Gonzales filed in federal district court in Denver was that Colorado law had given her an enforceable right to protection by instructing the police, on the court order, that "you shall arrest" or issue a warrant for the arrest of a violator. She argued that the order gave her a "property interest" within the meaning of the 14th Amendment's due process guarantee, which prohibits the deprivation of property without due process. The district court and a panel of the United States Court of Appeals for the 10th Circuit dismissed the suit, but the full appeals court reinstated it and the town appealed. The Supreme Court's precedents made the appellate ruling a challenging one for Ms. Gonzales and her lawyers to sustain. A 1989 decision, DeShaney v. Winnebago County, held that the failure by county social service workers to protect a young boy from a beating by his father did not breach any substantive constitutional duty. By framing her case as one of process rather than substance, Ms. Gonzales and her lawyers hoped to find a way around that precedent. But the majority on Monday saw little difference between the earlier case and this one, Castle Rock v. Gonzales, No. 04-278. Ms. Gonzales did not have a "property interest" in enforcing the restraining order, Justice Scalia said, adding that "such a right would not, of course, resemble any traditional conception of property." Although the protective order did mandate an arrest, or an arrest warrant, in so many words, Justice Scalia said, "a well-established tradition of police discretion has long coexisted with apparently mandatory arrest statutes." But Justices Stevens and Ginsburg, in their dissenting opinion, said "it is clear that the elimination of police discretion was integral to Colorado and its fellow states' solution to the problem of underenforcement in domestic violence cases." Colorado was one of two dozen states that, in response to increased attention to the problem of domestic violence during the 1990's, made arrest mandatory for violating protective orders. "The court fails to come to terms with the wave of domestic violence statutes that provides the crucial context for understanding Colorado's law," the dissenting justices said. Organizations concerned with domestic violence had watched the case closely and expressed disappointment at the outcome. Fernando LaGuarda, counsel for the National Network to End Domestic Violence, said in a statement that Congress and the states should now act to give greater protection. In another ruling on Monday, the court rebuked the United States Court of Appeals for the Sixth Circuit, in Cincinnati, for having reopened a death penalty appeal, on the basis of newly discovered evidence, after the ruling had become final. The 5-to-4 decision, Bell v. Thompson, No. 04-514, came in response to an appeal by the State of Tennessee after the Sixth Circuit removed a convicted murderer, Gregory Thompson, from the state's death row. After his conviction and the failure of his appeals in state court, Mr. Thompson, with new lawyers, had gone to federal district court seeking a writ of habeas corpus on the ground that his initial lawyers had been constitutionally inadequate. The new lawyers obtained a consultation with a psychologist, who diagnosed Mr. Thompson as schizophrenic. But the psychologist's report was not included in the file of the habeas corpus petition in district court, which denied the petition. It was not until the Sixth Circuit and then the Supreme Court had also denied his petition, making the case final, that the Sixth Circuit reopened the case, finding that the report was crucial evidence that should have been considered. In overturning that ruling in an opinion by Justice Anthony M. Kennedy, the majority said the appeals court had abused its discretion in an "extraordinary departure from standard appellate procedures." Chief Justice William H. Rehnquist and Justices Scalia, Clarence Thomas and Sandra Day O'Connor joined the opinion. In a dissenting opinion, Justice Stephen G. Breyer said the majority had relied on rules to the exclusion of justice. Judges need a "degree of discretion, thereby providing oil for the rule-based gears," he said. Justices Stevens, Ginsburg and David H. Souter joined the dissent. A federal district court in Texas overturned a 1968 gun law prohibiting the sale of handguns to out-of-state residents, granting those who live in Washington, D.C., the ability to travel to an out-of-state gun store, buy a handgun and bring it home without a middleman. The ruling takes aim at the federal Gun Control Act of 1968, which prohibited handgun sales to out-of-state residents and was defended by Attorney General Eric H. Holder Jr., who argued that the law doesn’t violate the Second Amendment. Proponents of lifting the ban said the 1968 law had become dated given technological advances in instant background checks, which are performed every time a gun is purchased from a federally licensed firearm dealer. It also prohibited a robust national handgun market from developing, as rifles and shotguns can be purchased regardless of state residency, but handguns are not. How do I carry a gun when it's not easy to carry a gun? Getting it right the first time is easier than fixing it later! I’ll be honest: I find carrying a firearm to be work. I know, someone out there will chime and and tell me that it’s not really work, that they “never notice” their gun, and so on. Frankly I think that’s nonsense! I’ve been carrying a concealed firearm for a long time now, and while it’s not uncomfortable it’s definitely not as liberating as walking around without that extra weight on my belt. (Yes, I do have top-end holsters and belts; it fact, I’ve designed and sold a few over the years and have long held that the most important part of a holster is the belt!) The fact is we have to balance the need to be able to protect ourselves with the downsides of the extra weight, bulk, and interference with our wardrobe choices. That’s the tradeoff, and I encourage people to make that tradeoff whenever they can, but that doesn’t mean the tradeoff doesn’t exist. What I’m getting to is this: let’s not be disingenuous and pretend that carrying a gun isn’t work; it is, and understanding why it’s work and the concepts involved in deciding how to do that work with less effort and intrusion is an important thing for any concealed carrier. It helps us make better choices and can even help us carry when we don’t think it’s possible to carry! Part of this process is acknowledging the fact that carrying a firearm is easier in some circumstances than others. I’m lucky, in that I can dress casually for about 99% of the time I’m in public. Not poorly, mind you, but casually — anything from outdoor clothing to khakis and polo shirts. It’s rare that I need to don a suit, and almost invariably when I do it’s because I’m in an environment where I’m prevented from carrying by law. So, my carry life is actually pretty easy. If I were still an avid cyclist, or if I were still in a business that required high-end suits and close proximity to clients, or if I were ever a skier or runner, that would be different! It’s difficult to carry a firearm in specialized or formal clothing, and it’s made more difficult by physical activity or being in occasional physical contact with others. Women face even greater challenges, as their wardrobes (and societal expectations) make CCW even tougher. Keith Hearn was getting out of his car in front of his home in Chicago's South Shore neighborhood when, as he tells it, police pulled up and told him he had committed a minor traffic offense. Hearn, 34, has a concealed-carry license and said he voluntarily told the officers he had a handgun on him. Nonetheless, he said officers arrested him and took him to their station, claiming his gun was partly showing. After checking, he said, police found the concealed-carry law allows a gun to be "mostly" concealed, and let him go without charges. "I was disgusted," Hearn said. "Why was I arrested, handcuffed in front of my neighborhood, when I didn't break any laws?" Hearn is among about 92,000 people who got licenses to carry a hidden gun in public last year in Illinois — the last state in the union to legalize "concealed carry," as it's called. Since it went into effect more than a year ago, the law has prompted neither the rash of shootings that opponents feared, nor a wave of crimes prevented through the intervention of armed citizens. Instead, there are ongoing disputes over who should be allowed to carry a gun, and where. Those battles are being played out in the courts and occasionally, on the streets, as in Hearn's account, which Chicago police would not comment on or confirm. Some citizens who were turned down for concealed-carry permits say they are being denied their constitutional right by a secretive state licensing board. Yet some law enforcement officials warn that dangerous people are being allowed to walk around with loaded weapons. Problems have occasionally cropped up involving concealed carriers. In July, a man with a concealed-carry permit tried to foil an armed robbery by shooting at the fleeing robber in Crestwood, forcing a police officer to duck for cover, according to Tribune reports. No one was hurt, but firearms trainers said gun carriers who try to intervene when police are already on the scene can pose a serious danger. In another incident, a member of the military who had a license to carry a gun shot and wounded an armed man who had fired into a crowd on Chicago's Far South Side. But in general, there have been relatively few problems implementing the law,according to several law enforcement officials. Fred Hayes, chief of police in Elwood and president of the Illinois Association of Chiefs of Police, said he was "pleasantly surprised" that the rollout has gone so quietly. Hayes previously opposed the law but said fears of increased shootings have "not materialized." For years, the association opposed the measure but chose to support its passage in 2013. Attitudes toward the law were split geographically, Hayes said, with downstate officers more supportive, and those in the Chicago area more opposed, due largely to the differing amount of gun crime in each region. Arlington Heights Police Chief Gerald Mourning also said he had expected an adjustment period with the new law, but that problems have been virtually non-existent. "We have dealt with it so infrequently that we simply haven't had any difficulties. I am surprised by it. I thought for sure we would encounter issues on a more regular basis," Mourning said. "It has not been an issue for us at all in terms of confrontations or misunderstandings." In Aurora, police Cmdr. Paul Nelson said officers routinely ask during traffic stops if a subject possesses a firearm. If so, the officer will then request to see the concealed-carry license to determine if the weapon is legal, and then ask the subject not to touch the weapon during the traffic stop. "When you look at it, we were the last of 50 states to implement this law. We act like this was some big new deal. In reality, everyone else had been doing it for many years, and there just haven't been any problems," Nelson said. "There was no reason for us to expect that it would be different in Illinois." Martha Rosenberg, of the National Gun Victims Action Council, said the effect of the law was not as bad as she feared, but had a different theory as to why. "Even though, legally, people can bring firearms out, there's a lot of places where they can't bring it," she said. "So the law is going well because the carriers aren't all over the place." Gun advocates see the matter just the opposite way. Richard Pearson, executive director of the Illinois State Rifle Association, said concealed carry helped Chicago see its lowest homicide rate in nearly 50 years last year. He argued for expanding the law to allow guns on public transportation, for instance, to reduce the number of robberies there. Under the law, there are more than 25 types of establishments where guns are banned, including schools, government buildings, airports, parks, bars, casinos, zoos and libraries. Businesses that don't want guns must post a state police "no guns allowed" sign. The most active battleground over gun rights is in the courts, where about 300 lawsuits have been filed against the state by people denied licenses. Some applications submitted by those who have sued have been sent back to the state for review and been awarded, while others are pending. Previously, denials had to be appealed in court. As a result of changes to the process made last summer, applicants are notified of a police objection against them and can appeal directly to the Concealed Carry Licensing Review Board, which decides whether to award the license. Under the law, county sheriffs, state's attorneys, local police and the attorney general can raise objections "based on reasonable suspicion" if an applicant appears to be a danger to himself or herself or others. The board reviews these objections and makes a final decision. Convicted felons and convicted domestic abusers are also denied the license. Attorney Joe Obenberger represents several plaintiffs challenging their denials. He said many cases are based on arrests, not convictions, so the applicants should be presumed innocent. He also noted that the review board is made up mainly of law enforcement officials. Despite the rule changes, Obenberger says applicants still aren't given the evidence against them beyond a summary objection and can't get an in-person hearing. "Good and honorable, decent people are being denied left and right," he said. The board has considered about 3,100 police objections and denied licenses to about 2,400 of them. Claudia Castro, legal counsel for the board, said things are running much better since the rule changes. "The board is much less conservative now," Castro said. "I think with time and experience and becoming more familiar with the applicants, they are becoming more flexible with their decision-making." That board will now need to be reconstituted, though, as Gov. Bruce Rauner did not retain its members after taking office. One group also trying to assess the impact of the new law is the business community. Members of the Chicagoland Chamber of Commerce haven't run into any major problems with the law, spokeswoman Andree Dolan said. Still, some local Chicago businesses feared that posting the sign would alienate potential customers or make the community uncomfortable. Eric Williams, owner of the Silver Room in Chicago, said he was hesitant about posting the no-carry sign in the window, despite not supporting the law. "You have a big picture of a gun on the door," he said. "I don't want it there. Plus, I think it is silly to think that someone who has a concealed gun will not bring it into a store because of a tiny sign." Chris Connelly, the manager of Reckless Records in Chicago's Wicker Park, pasted the sign in the window of his business immediately after the law was passed. He said that in Scotland, where he is from, guns hardly exist. "Daily life really shouldn't involve becoming Clint Eastwood all of a sudden," Connelly said. "There have been no issues at all and zero reactions. For 99.9 percent of my customers, it doesn't affect their life." Gun advocates hope to change the law to cut back on the number of places where guns are prohibited. There may be support for tightening the law from the governor's mansion. During the campaign, Rauner reportedly said he supported the law, but it was too confusing for gun owners to know where they couldn't carry a gun. Cook County Sheriff Tom Dart warned that dangerous people are getting guns. His office objected to more than 2,000 applicants, about half of whom had arrests for domestic abuse or orders of protection, and 18 murder suspects arrested but not convicted. Dart called for having the law specify grounds for objections, such as prior arrests, but is not optimistic about changing the law. As a former lawmaker himself, he said, legislators don't want to revisit the issue because it's too controversial.